Courage isn't necessarily easy, but it can be less exhausting than the alternative. What requires your courage at this time? Courage isn’t only applicable in times of physical danger. You might need courage to make an important decision, hold a much-needed conversation, step into a leadership role, or speak up in a meeting. Courage is not always easy, but like Eleanor Roosevelt suggested, it’s typically easier than spinning in indecision, uncertainty, and fear. This week, choose a courage role model. Who comes to mind when you hear the word ‘courageous’? What advice do you think he or she might give you regarding the area in which you currently need courage? Consider what wisdom they might offer regarding courage, and begin to apply it. If possible, invite your courage role model out for coffee and get ideas directly from the source! Courage, clarity, and confidence go together like spring and sunshine! 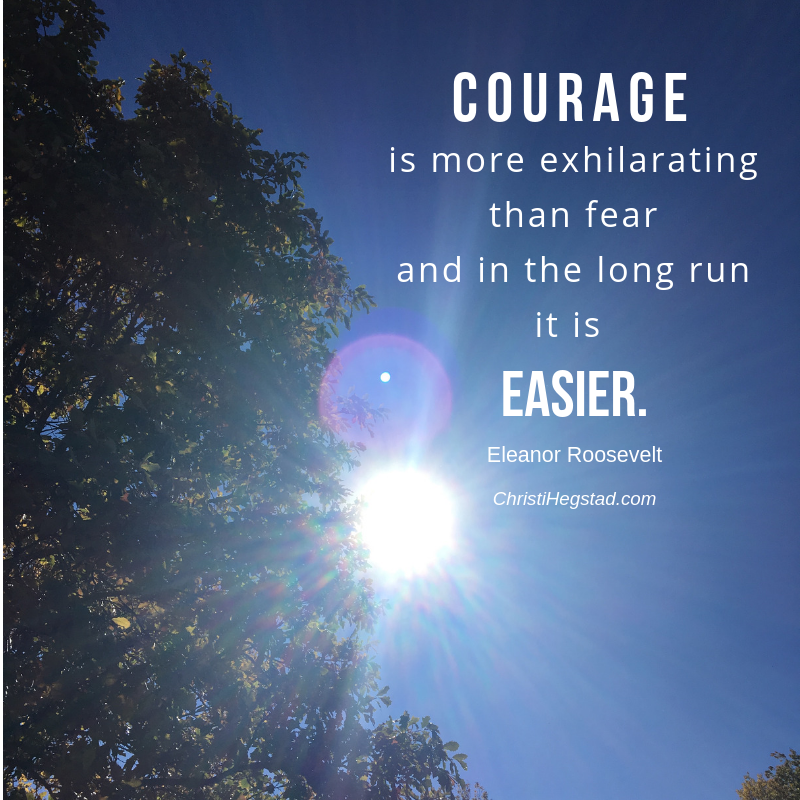 If you would like to build your courage muscle, contact me today to discuss coaching possibilities!